Sylinterinmallinen laukku. Kasviparkittua nahkaa. VALMISTETAAN TILAUKSESTA. Sylinterin mallinen laukku kauniisti patinoituvaa Suomalaista parkkinahkaa. Vuoritettu punaisella nahalla. Laukku sulkeutuu laadukkaalla YKK-vetoketjulla. Säädettävä olkahihna on irrotettavissa. This small sized, cylinder shape bag is made entirely out of vegetable tanned leather, which creates a beautiful patina. The inside is lined with red leather. The bag features a compartment closed and secured with YKK zipper. The strap is detachable, and adjustable in length so it can be used both as a shoulder bag and a cross body bag. 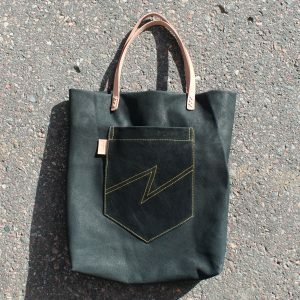 This Rebel Leather bag is MADE TO ORDER. Please allow 2 weeks for production time. If you would like to request a custom product that is not available in stock, please send me email via contact-form.